Say hello to Silas Timberlake... and more photos of cute celebrity newborns! 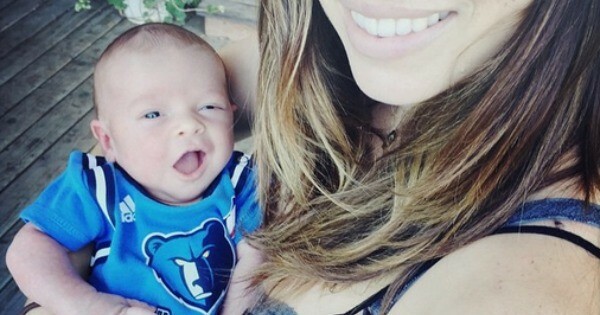 Say hello to Silas Timberlake… and more photos of cute celebrity newborns! Proud parents Justin Timberlake and Jessica Biel have just released the first photos of their newborn son Silas on Instagram. And what a little cutie he is. Of course, when one gorgeous celebrity breeds with another gorgeous celebrity, the end result is bound to be beautiful. Check out these adorable photos of the latest additions to celebrity baby land. Let’s start off the celebrity baby stalking with the most recent newborn to grace the pages of Instagram – baby Silas Randall Timberlake who, at 11 days old, is a proud supporter of the American basketball team, the Memphis Grizzlies. This photo of stunning new mum Jessica Biel and beautiful baby Silas is quickly taking over the Internet. And with those matching smiles, it’s easy to see why! American model, Molly Sims proudly displayed a picture of her newborn daughter, Scarlett, dressed for the Easter occasion. Sims and her American film producer husband Scott Stuber are also parents to two-year-old son Brooks and welcomed baby Scarlett on 26 March 2015. American model and actress Milla Jovovich and her film writer and director husband Paul WS Anderson also shared a sweet shot of brand new baby girl Dashiel Edan, born 1 April 2015. Baby Dash is the second child of the couple who also have a daughter named Ever Gabo. American singer Carrie Underwood also showcased her newborn’s enthusiasm for sport, snapping a photo of baby Isaiah grasping an ice hockey stick. Looks like Isaiah, born 27 February 2015, is following in his daddy’s footsteps – Underwood’s husband, Mike Fisher plays ice hockey for the Nashville Predators. The ‘cutest twins on Instagram’ award has to go to home grown cuties, Betty and Billy, the adorable duo of Mornings show host David Campbell and wife Elizabeth Ann. The lovely couple welcomed Betty and Billy on 12 January 2015 and they join big brother Leo, who is just as sweet as his twin siblings. Carrie Bickmore’s little princess Evie is also making friends through Instagram with this adorable sleeping shot Bickmore shared with her fans last month. Bickmore and her partner, Chris Walker, welcomed Evie on 18 March 2015. It looks like she is going to be just as stunning as her mum! 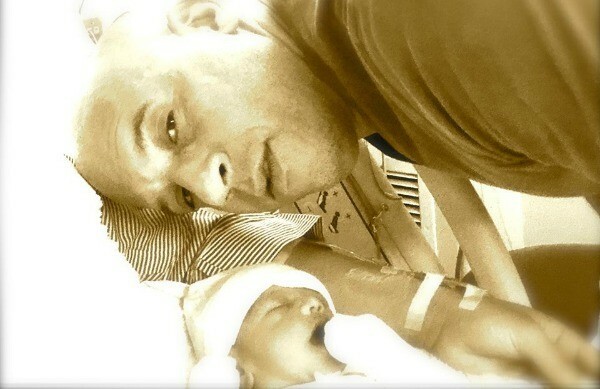 American actor Vin Diesel also gave us a recent sneak peak of baby girl Pauline, who was born 23 March 2015 and named after Diesel’s good friend, the late actor Paul Walker. Diesel and his partner, Ramona Jiminez, shared their first precious snap of baby Pauline with lyrics to the Louis Armstrong song, What a Wonderful World in the caption. We hope these adorable celebrity babies fulfilled your daily craving of cuteness. Stay tuned for more celebrity baby news as Royal Baby #2 makes his or her appearance any day now!